The most modern method of brightening the color of teeth is laser teeth whitening. Do you know that human dentin may have very different shades? Drinking and eating colorful products also affects the appearance of our teeth. Would you like to whiten your teeth in just like 1.5 hours by as much as 8 tons as our regular patient Mrs. Paulina? Mrs. Paulina is a young person who was not happy with the color of her teeth. As a result, she lost the opportunity to express unalloyed joy and comfortable functioning on a daily basis. Mrs. Paulina felt that in her life job, an aesthetic white smile would improve her perception of others, and also her well-being, which would translate into her direct relationships with all the people around. She decided to whiten teeth using a laser. 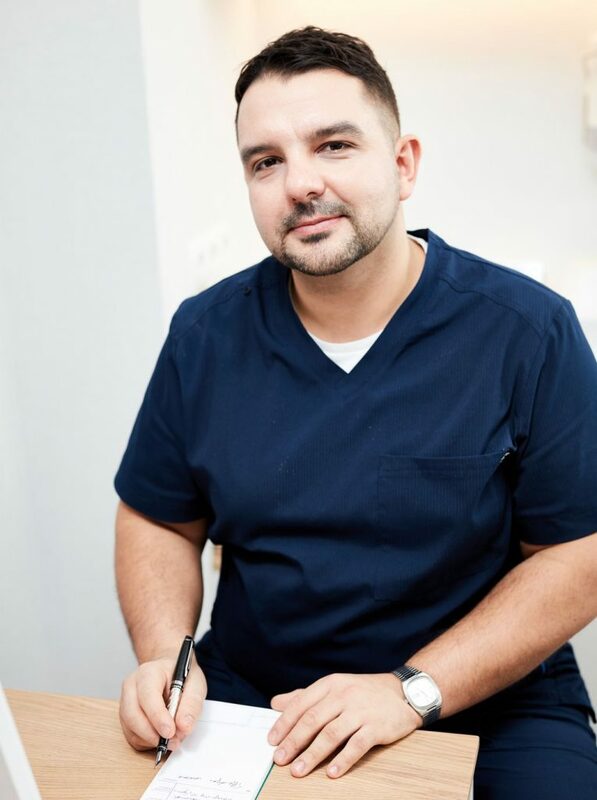 The visit at our clinic lasted 1.5 hours, during which the hygienist first cleaned the teeth from the stone and sediments, and then using the diode laser whitened hed teeth. The effect achieved by our hygienist Aleksandra Antochowska is enviable. Teeth have been whitened up to 8 tonnes! She was worried that her teeth are going to be very sensitive after the tretmant. However, thanks to the laser, this problem does not affect our patients. The new smile, which the hygienist created for Paulina, became the complement to what kind of person she is, let her become a beautiful, attractive woman! Paulina, after completing the treatment, realizes herself fully in private and professional. She smiles a lot and is happy. Thanks to a visit in the hygiene room, Paulina knows that in addition of cosmetic procedures such as whitening the most important is oral prophylaxis and visiting the dentist twice in a year for hygiene appoitment. Regular hygienist visits twice in a year is a guarantee of keeping healthy and clean teeth for the rest of your life. In a friendly vibes and cozy interiors, we invite you to visit hygienist Aleksandra Antochowska.